I hope you got paid for it. Depends on your definition of "paid" I guess. I'm satisfied, for now, does that count? Sorry, I don't mean to seem like I'm getting in your business I just don't like seeing photographers getting taken advantage of. They ran your photo and are making money off of it. They should have paid you for it. Congrats to you David and to tJ as well, you two both deserve it. So while not on the same level, either in photo quality or in having my personal effects and stories told, I received word last week that one of my submissions was selected for the last installation from August 15 - September 18. 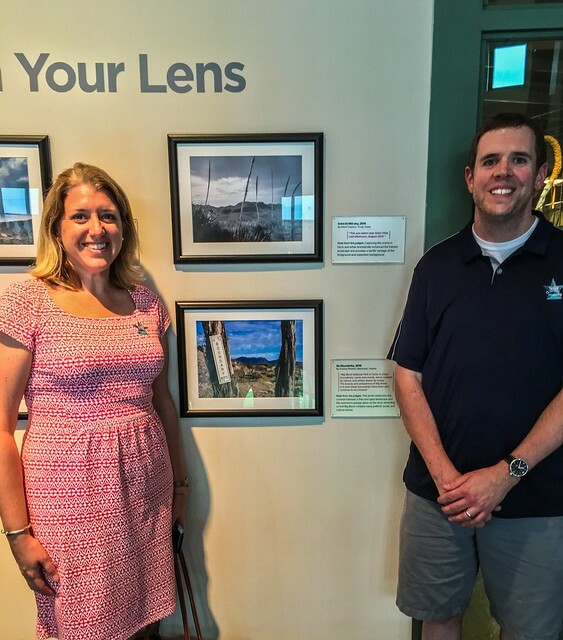 As a result, the wife and I are flying down from DC to Austin on August 20, since I'm fairly certain I'll never have anything I've done displayed in a museum again. Can't wait to see everyone's work in person. 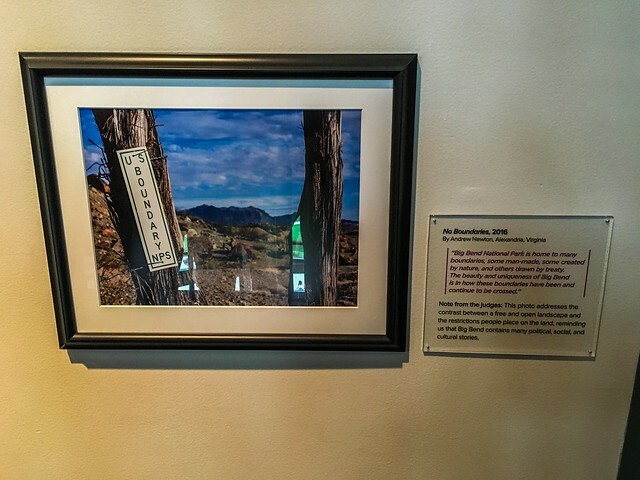 Photograph description: Big Bend National Park is home to many boundaries, some man-made, some created by nature, and others drawn by treaty. 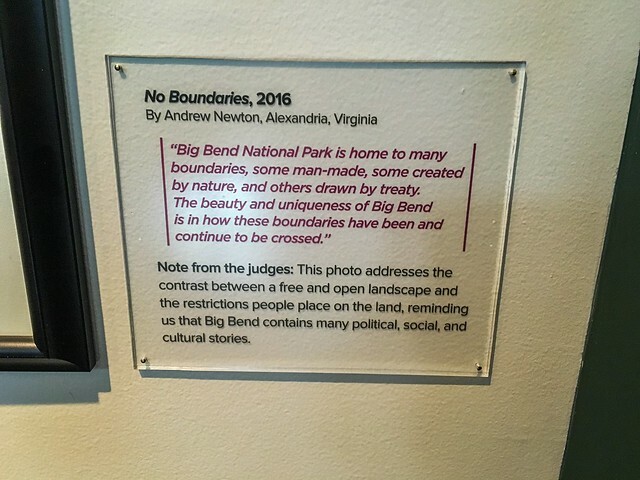 The beauty and uniqueness of Big Bend is in how these boundaries have been and continue to be crossed. As always, a big thank you to this community, which I like to think I've at least become a limited contributor to since my first trip in January 2015. It's such a refreshing respite from much of the other ridiculousness online. The information here has been immensely helpful in helping me plan from afar some life-affirming trips with great friends. I check in daily and have tried to make limited contributions where I can to pay it forward. On a side note, I also happened to book my third trip for January 2017 last week as well. I'm already counting the days. Congratulations and thanks for being a contributor here at BBC as well. 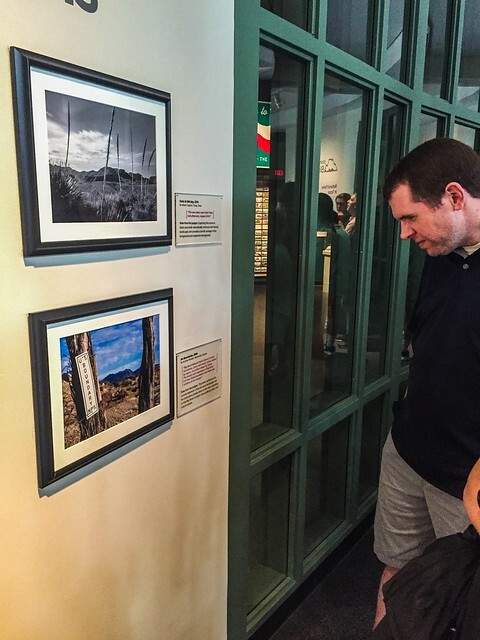 DD - Congrats, well deserved - the museum shows some good taste by selecting your photo !!! I can only 2nd mule ears' reply - your contribution to this board is very much appreciated. 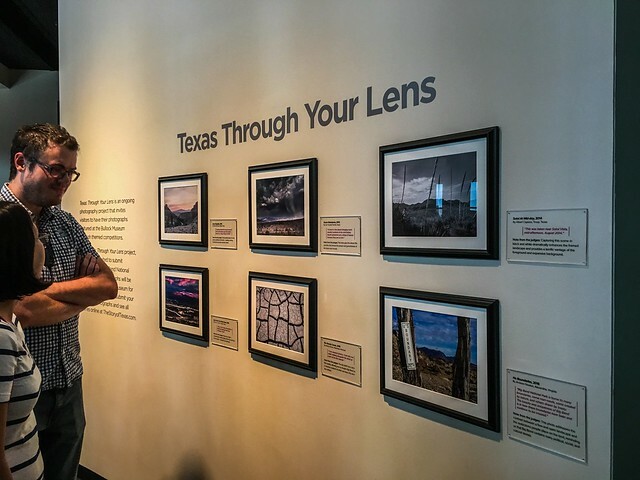 In every well-written TR and excellent photo you've posted, your sincere passion for the Big Bend region shines through. 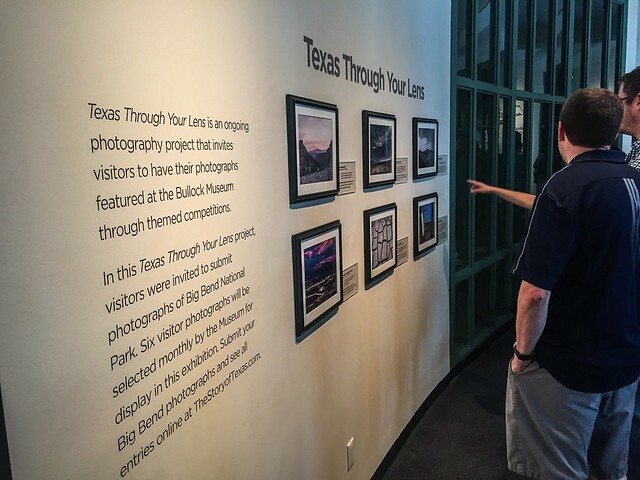 BTW, it would be great if you share your impressions of the exhibition with BBC upon your return from Austin. Nice job! Pretty cool eh? Thanks guys. It really is nice when something you love gets unexpectedly rewarded. And I will absolutely share my thoughts Andreas. So we returned from Austin last night. The museum seemed great actually, and I liked that the Big Bend exhibit was around the rotunda on the third floor. The only problem with that layout on Saturday when we were there was that one of the programs at UT required their freshman to pick up their check-in packets in the large room on the third floor. So there were thousands of students and their parents wrapped around the rotunda in line, so we weren't really able to see anything, aside from thousands of people actively ignoring the exhibit. It was honestly hilariously humbling, except that I wanted to see things. We finally asked some people standing in front of it to move so we could see it and made them snap some quick cell phone pictures of us. I'm glad I went because I will likely never see my name in a museum again, and the exhibit seemed to be well presented, but for the orientation event on the only day I was able to see it. Congratulations and thanks to everyone for sharing their stories. It was nice to be able to point out to my wife that these are the people I've connected with online. Some good things do happen on the internet after all. Here are a few embarrassing photos of us taking it in. BTW, I've been browsing through your flickr site, lots of beautiful photos there, too! Great photo and caption! Congrats and thanks for sharing! Makes me wish I had gone to see mine in July. Thank you rocketman and badknees, and thanks for the kind words Andreas. I'm really just starting to get into photography. It makes planning trips more fun for sure. 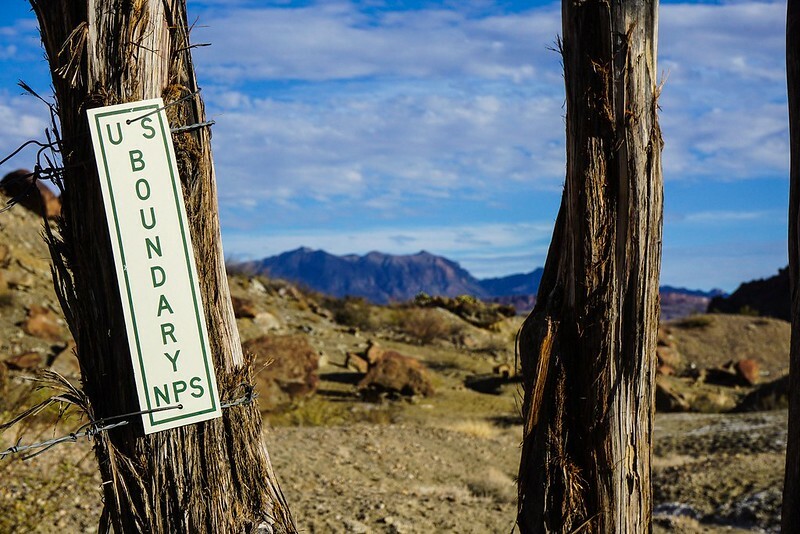 Big Bend is no exception. It feels like you can just point your camera in almost any direction and catch something of interest.